Two toddlers go on a bumpety berry hunt in this darling picture book that’s perfect for preschoolers. Wagon on gravel goes bumpety-bump. Pebbles in the pond fall plunkey-plunk. Toes in the grass dance thumpety-thump. Bumpety-plunkety-thumpety-thump! Join two sweet siblings as they explore their backyard, get deliciously creative in the kitchen, and then spend a cozy evening preparing for bed. Along the way they’ll get muddy and messy and hungry and sleepy—just as all little ones do. All Kitty wants to do is play her favorite video game. But Kitty has been playing her video game for FIVE hours. Now it's time for Kitty to: go outside, draw a picture, read a book, do anything other than play video games. Kitty doesn't want to do any of these things. . . but eventually she does anyway, and discovers that some things are way more fun than video games. K is for Katie and O is for her baby brother, Olly, as Shirley Hughes's beloved pair introduce ABCs in everyday settings that little ones will recognize. From airplanes high in the sky to zzzzz for sleepy time, Katie and Olly's daily pastimes offer plenty of ways to learn their letters. There's L for the leaves you can wade through when they fall from the trees, P for the play-group where it's fun to jump on big cushions, and V for the vacuum cleaner that vroom-vroom-vrooms when Dad cleans the carpet. Narrated in Katie's voice and depicting the simple pleasures of a familiar world, My First ABC shows both upper- and lowercase letters and ends with an alphabet on the final spread illustrated with an alternate set of images. Max knows a lot about soccer. After all, he's been playing it for almost three weeks! So he's pretty much an expert. Here Max shares his one-of-a-kind helpful tips including how to warm up (stretch, twirl, somersault), who's who on the field (the ref is the guy in yellow with the whistle-you should not bring your own whistle), and what to do with your hands since you can't touch the ball (wave at fans, hide them in your shirt, play itsy-bitsy spider).But could Max possibly be forgetting something very important? Full of humor, energy, and warmth, Max Explains Everything- Soccer Expert is the perfect read aloud for novice players as well as for fellow "kid experts" on the game. Preschoolers and kindergartners learn about their bodies in a joyous, playful, kinetic way! Who has wiggle-waggle toes? I do. Who has flip-flop feet? I do! The adorable characters in this book knock their knockabout knees, stomp their flip-flop feet, shimmy their big bold bottoms, and more! Illustrations place characters in cute costumes and fun settings that will fascinate and delight young children. 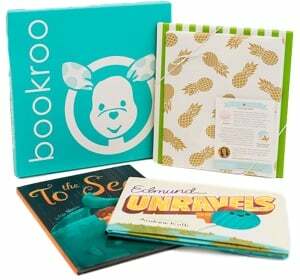 A perfect preschool and kindergarten package!